Remember those incubator baby chicks? 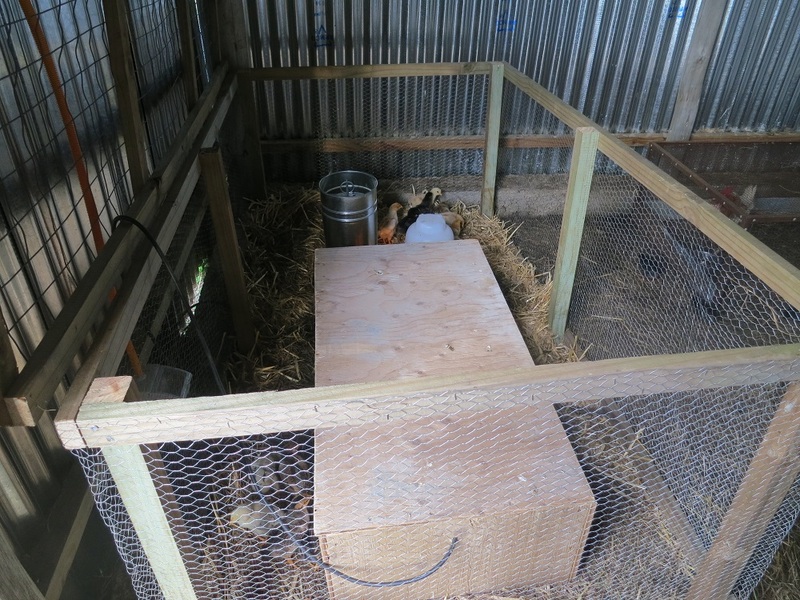 With the advent of electricity, we have a brooder to keep the little ones warm in the chicken house. 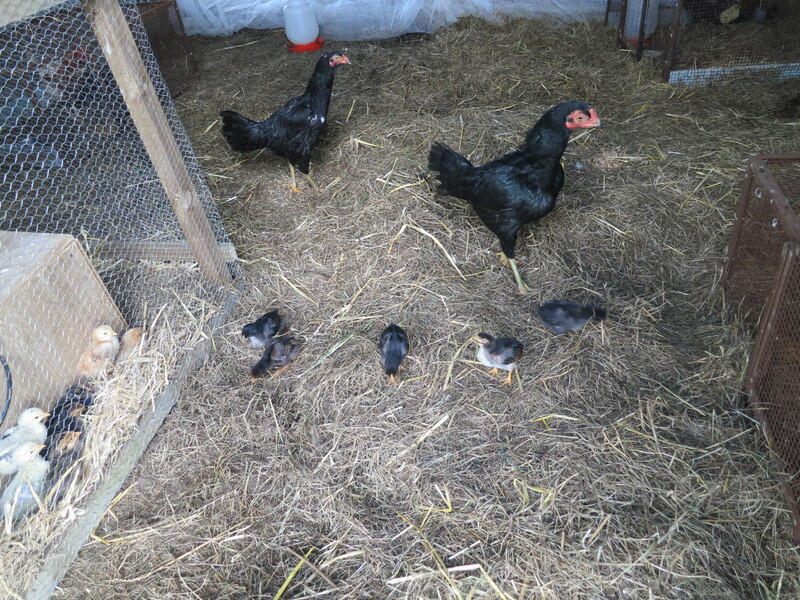 The brooder is located in one corner. 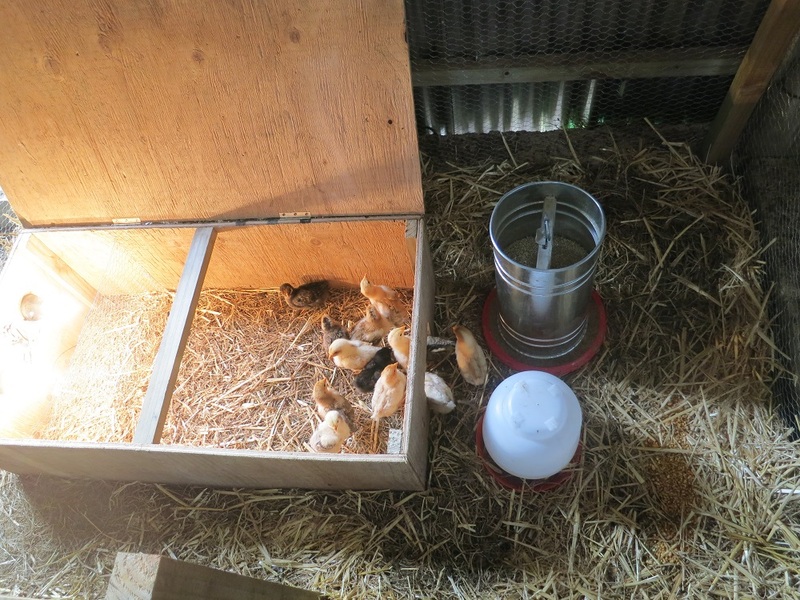 The chicks have heat, water, food, and an area to scratch about. And the mama brooders with their chicks are in the same area and came to check out the new neighbors. Slowly our flock is expanding.